Strength comes from a combination of process and design. The process of stress-flow forging re-aligns the metal's grain structure within the contour of the caliper body. This eliminates the stresses and interruptions to the internal grain structure that occur when machining a straight block billet. The FEA generated radial transition design eliminates steps and shoulders in the area between the piston housing body and the caliper bridges. Incorporating a radius in this critical area substantially increases resistance to deflection and caliper separation under load. The Powerlite uses a new 7912 type brake pad that is supported from the top by Quick-clip pad retainers. 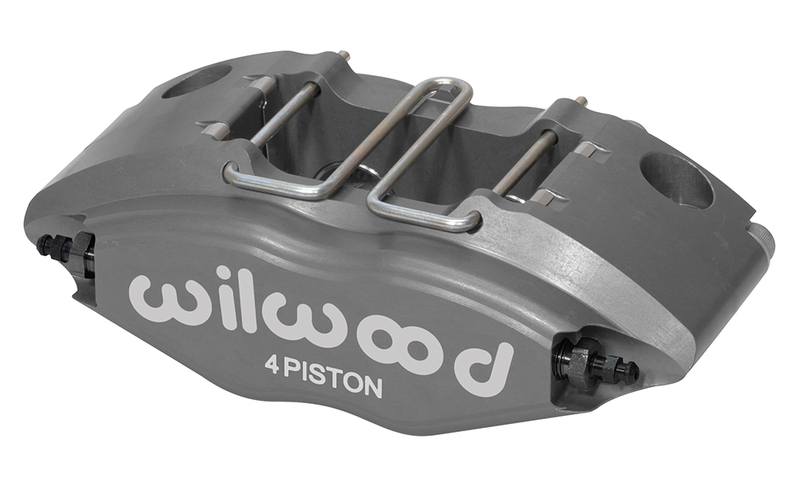 This eliminates the need for a pad support step in the bottom of the caliper and adds additional clearance for mounting closer to the hub on small wheel and rotor applications. The pad radius matches to rotor diameters between 9.45" (240,0 mm) and 11.75" (298,5 mm), and the caliper fits easily inside many 13.00" (330,2) wheel applications. The Quick-Clips also accommodate easy pad access without caliper removal. Brake pad compounds are available for the full range of sport and competition applications. 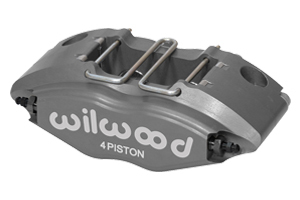 Every caliper is equipped with Wilwood's SRS stainless steel bridge plates. The SRS plates eliminate the bridge wear caused by pad gouging. The spring-loading action of the SRS plates also eliminates pad rattle and dampens the vibration harmonics that contribute to squeal under braking. Internal fluid passages eliminate the need for external tubes. Four corner bleed screws assure simple and effective air evacuation and allow one caliper to be mounted in of four positions. 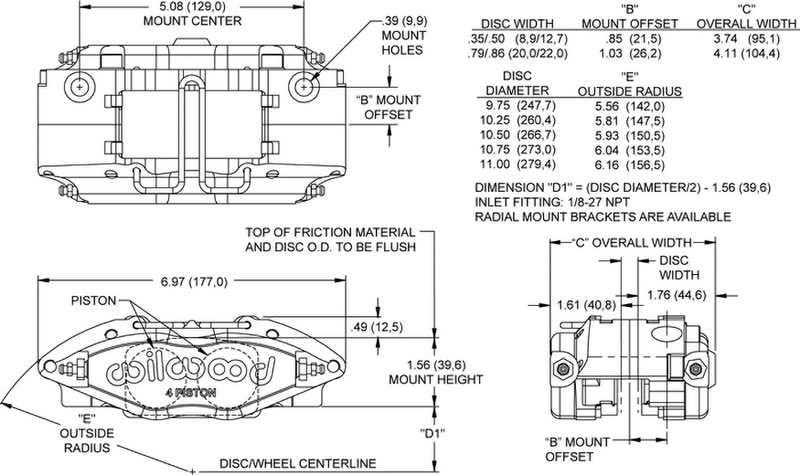 Bracket kits are used to install the calipers in place of most lug mount calipers. Radial mounting simplifies service and the bracket kits provide two planes of adjustment for precise alignment over the disc. Bracket kits include the radial mount bracket, studs, locknuts, and caliper alignment shims.